Two members of Birmingham City Council&apos;s eight-strong Labour cabinet have rallied round their under fire leader Sir Albert Bore in the wake of the shock resignation of their colleague. They have highlighted the leader&apos;s role in bringing job creating investment into the city through the likes of HSBC and Deutsche Bank and say they remain committed to his improvement plan. The Labour leadership has now come out fighting 24 hours after Harborne councillor James McKay resigned as cabinet member for inclusion and community safety, saying he no longer believed in Sir Albert Bore&apos;s leadership, claiming he had become remote and lacks political vision. But now two of his cabinet have stepped forward to confirm that they will not be following Coun McKay out the door. 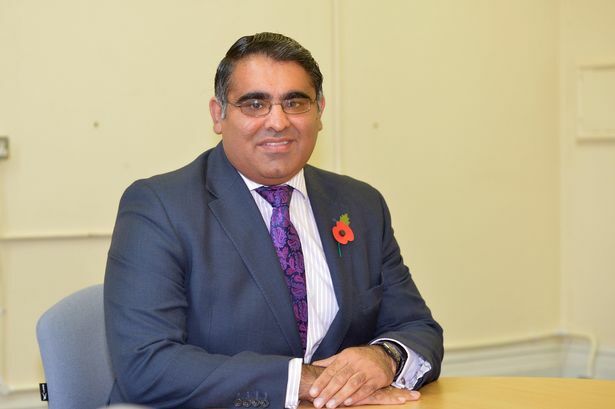 Coun Tahir Ali, cabinet member for development, transport and the economy, said: "Working alongside Sir Albert on economic development and regeneration, I know that he is providing outstanding leadership. "His focus has been on inward investment in to the city and a drive to bring in more well-paid jobs. "The evidence is there for everyone to see - Deutsche Bank creating thousands of jobs, HSBC bringing their UK HQ to the city, massive re-development of the greater Icknield area which will create many new homes and jobs. "We inherited from the last Tory administration the highest youth unemployment of the core cities, thanks to Labour we are now amongst the best in this regard. "Sir Albert Bore has and is making an outstanding contribution to this city&apos;s economic development." Sir Albert has a long association with Birmingham city centre regeneration going back to his work on the development of Brindleyplace, the ICC and the Bullring in the 1980s and 1990s. Selly Oak councillor Brigid Jones, who like Coun McKay was a political novice when appointed cabinet member for children&apos;s services by Sir Albert Bore, added: "James is a great friend and talented colleague but I don&apos;t share his view on this. "James is right to acknowledge Sir Albert&apos;s enormous contribution to the city but it would be a mistake to think that his contribution is in the past. "The huge inward investment and job creation that is going on in Birmingham is a huge part of Sir Albert&apos;s ongoing work. "I&apos;m sorry to see James go but the Labour cabinet are getting on with seeing through the work we&apos;ve promised the people of Birmingham." Pressure has grown on Sir Albert this summer as he attempts to guide the council through major changes demanded following the damning Kerslake report and huge budget cuts. There are fears of a government take over if he fails to make the improvements which are being demanded. Until now, there was only a brief statement from Sir Albert himself thanking James McKay for his contribution over the last three years. Meanwhile, Coun McKay has not yet indicated if he plans to issue a direct challenge to the leader. CounJohn Cotton, cabinet member for neighbourhood management and homes, said: "Yesterday, the cabinet made it clear that we are united behind Sir Albert. "Under his leadership, we&apos;ve created new jobs for Brummies, introduced a real living wage, built a record number of new homes and delivered major investments like the brand new New Street station. "These initiatives have made a massive difference to our city and the lives of its people. That&apos;s what we are focused on doing and we will continue to deliver under Sir Albert&apos;s clear leadership."